Driving with kids on board is something you should never take for granted! 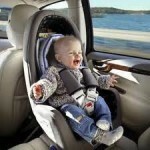 Join United Colors of Benetton for a cup of coffee for a FREE Car Seat Safety morning session on Thursday, December 15, 2011, at the brand’s store located in Jumeirah Centre (on Jumeirah Beach Road), Dubai. Mark your calendar and be there from 10am to 12pm. There’s even a goodie bag waiting to be won, courtesy of your favourite brand-UCB.